Because the microbial world is so small, microbial communities can often vary greatly along physical scales that seem tiny to humans. 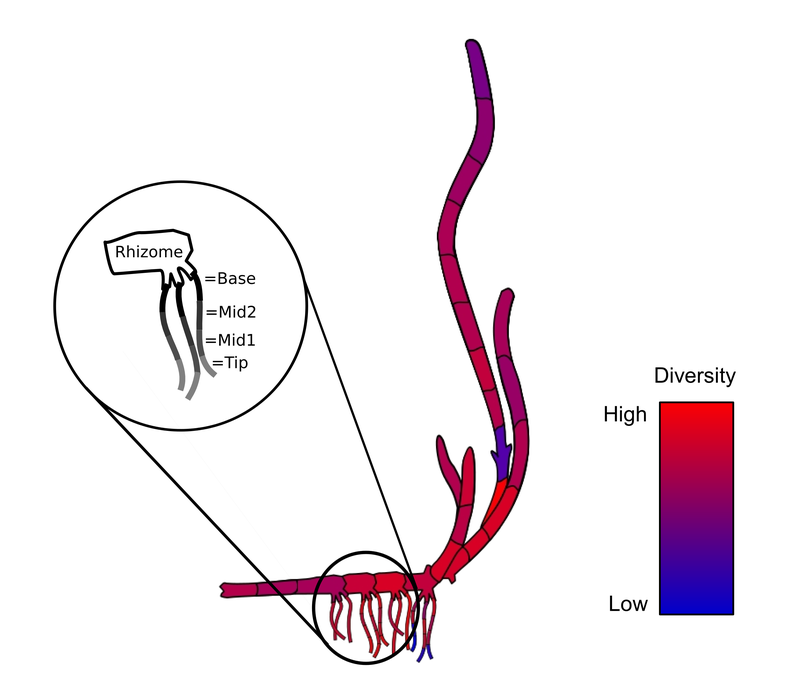 Often we see more variation between microbial communities a few feet or even inches apart than we see between macroscopic communities on two different continents. This variation can be caused by differences in the chemical and physical microenvironments in which these tiny organisms live. This project seeks to better understand the seagrass “microecosystem” by analyzing the fine-scale variation in microbial communities across the surface of an individual seagrass. This is not only useful for designing large-scale studies (to make sure all samples are from the same microenvironment on the plant), it can also lead to insights into the physiological nature of these microenvironments. Shannon diversity index as measured along the surfaces of one plant. Principal Coordinate Analysis of the different parts of the plant. 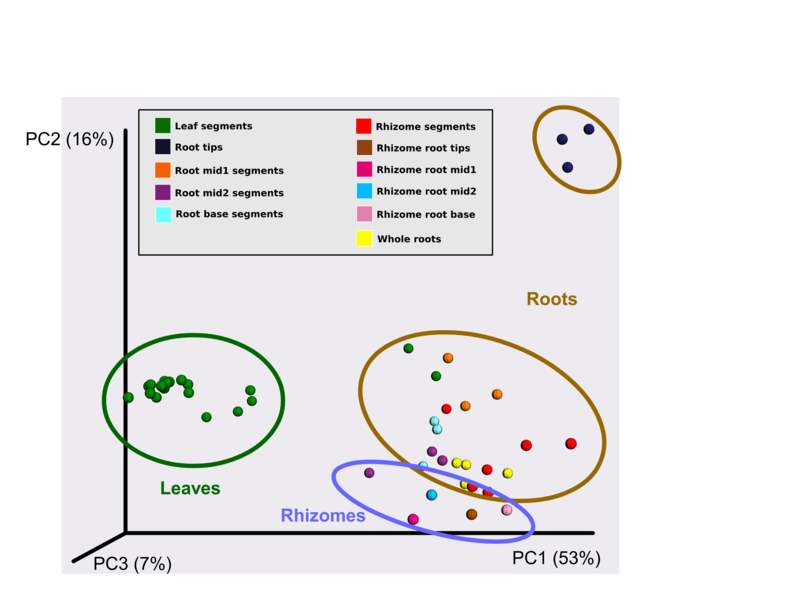 Variation in root communities is much greater than that of leaf or rhizome communities with the root tips standing out as very unique. Preliminary data was presented in a poster at the Lake Arrowhead Microbial Genomics Conference 2014.